I bought The Very Hungry Caterpillar’s Christmas 123 to give to a friend’s baby for his first Christmas but it’s such a beautiful, sturdy little board book that I couldn’t bear to part with it! Eric Carle’s introduces festive vocabulary which is portrayed through his trademark illustrations, we particularly like his Christmas puddings. The book introduces young children to numbers from one to ten, each page shows the word for the number as well as the number itself. 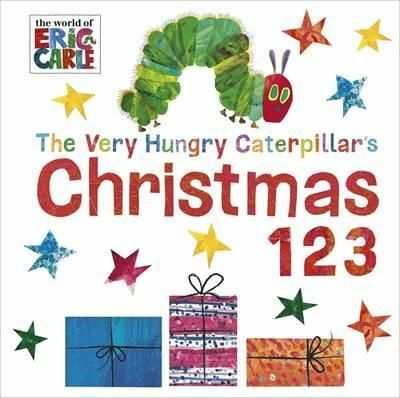 The Story: The Very Hungry Caterpillar crawls through the book and introduces readers to various aspects of Christmas including Father Christmas, Christmas trees, stars and Christmas puddings (our favourite page). 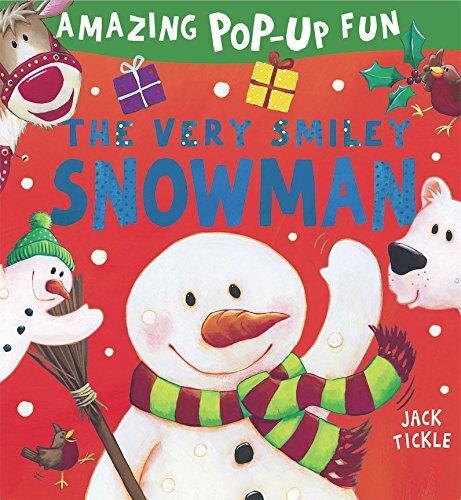 The Very Smiley Snowman by Jack Tickle has amazing pop ups including The Smiley Snowman, penguins and our favourite, the Christmas Tree. 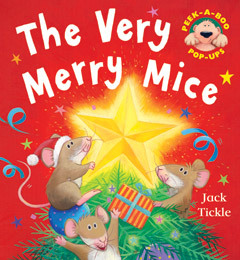 The Very Merry Mice by Jack Tickle is another wonderful pop up book including mice kissing under the mistletoe, swinging on Christmas bells and pulling a huge cracker! Story Snug Advent: I is for I’ve Seen Santa!